Assassin's Creed: Rogue, the last-gen console title from Ubisoft and effective sequel to Assassin's Creed IV: Black Flag, will be hitting PC on March 10 (assuming it's not delayed). While the game will mostly be the same as what launched on the Xbox 360 and PlayStation 3, Ubisoft has added in one extra feature for PC gamers: eye tracking. With a supported peripheral, such as the SteelSeries Sentry or Tobii EyeX, gamers will have an additional way to control the game to complement either keyboard and mouse or gamepad input. When you look to one side of the display, Rogue will track your eye movements, and the camera will begin to pan in this direction to create an "Infinite Screen experience". On top of this, the in game protagonist - Shay Patrick Cormac - will look in whatever direction you're looking. And when you look away from the display for a moment, Assassin's Creed: Rogue will automatically pause the game, resuming only when your gaze returns. Ubisoft Kiev producer Corneliu Vasiliu said that eye tracking is "such a natural way to interact with a game and creates tons of potential opportunities for gameplay immersion ". Ubisoft is one of the first companies to integrate eye tracking into a major title such as Rogue, and in doing so, provides gamers "with an entirely new, complementary input to the keyboard and mouse." If you want to check out Rogue's eye tracking technology, you'll have to spend either $140 on the Tobii EyeX, or $200 on the SteelSeries Sentry. Luckily, the first 5,000 customers who purchase the Sentry will get a free copy of Rogue when it comes out. 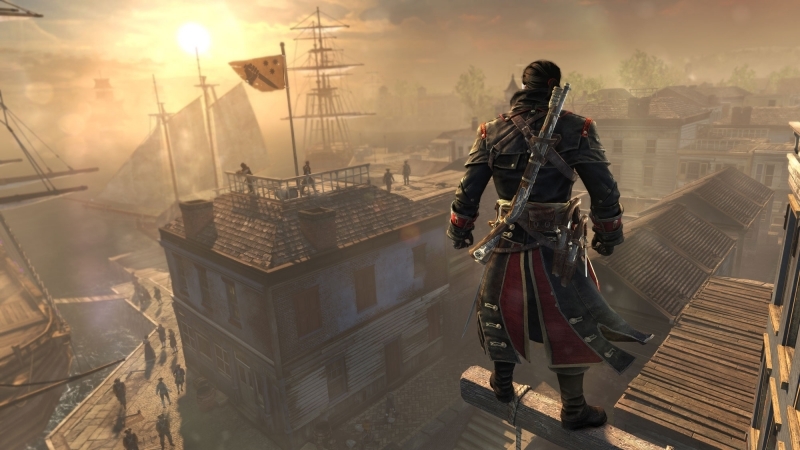 And while we're at it, Ubisoft has revealed the minimum system requirements for Assassin's Creed: Rogue. Although recommended specs haven't been released, it doesn't look like the game will be particularly demanding.